Booking Car Rental Worldwide from Top Brands. Guarantee Lowest Price. We offer Booking Online 24 hours of Hotels, Air Tickets, Travel and Vacation Packages, Car Rental in worldwide and Thailand Bus Tickets. We are the partner of the world's leading online travel company. All Low Cost and Trusted company. Select Booking your Needs as The Price You Like. Find Hotel more than 1,400,000 properties. Many type of accommodation availabal as Hotel, Resort, Apartment, Room which different rate to fit your requirement. There are Hotel Deals and Special Discount through the year. 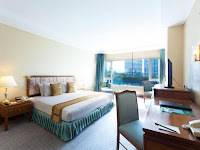 Ensure to get Cheap Hotel. Find flight in real time from 728 Airline and 200 flight booking agencies. They offer the most suitable flights for you. You can compare airfares from each airline to find Cheap Air Tickets. Find the most popular tourist destinations around the world. Allows you to search and compair fares. 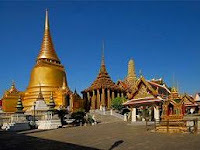 You can find special discount of tour package from Deals and Promotions section. All these help you save budget. Have more pocket money and enjoy your trip. 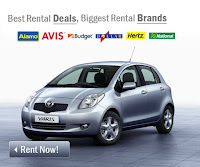 Find car rental from Top brands like Hertz, Alamo, Avis, Budget, Europcar, Enterprise etc. We have connection with top car rental suppliers. Thus we are able to provide discounted rates and deals. You can save around 50% against the usual retail. Guaranteed lowest price car rental. You can booking Thailand domestic Bus online in real time. Support team at Call center 24 hour.